Cardiac Catheterization Laboratory Design and Diagnostic Modalities. Vascular Access. Fetal and Early Postnatal Interventions. Valves. Septal Defects. Aortopulmonary Shunts. Fistulas. Obstructions. Hypertrophic Obstructive Cardiomyopathy. Thoracic Aneurysms. Hybrid Procedures. Left Atrial Appendage Closure. Devices for Heart Failure Management. Other Procedures. 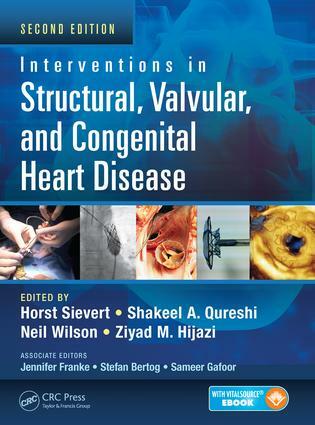 Complications of Congenital, Structural, and Valvular Interventions.